Sekiro: Shadows The Twice is similar in many ways to other From software games. You still make your way to fire-like checkpoint areas, fight incredibly powerful bosses, and gather resources to improve your healing items, but the fighting flow is completely different. 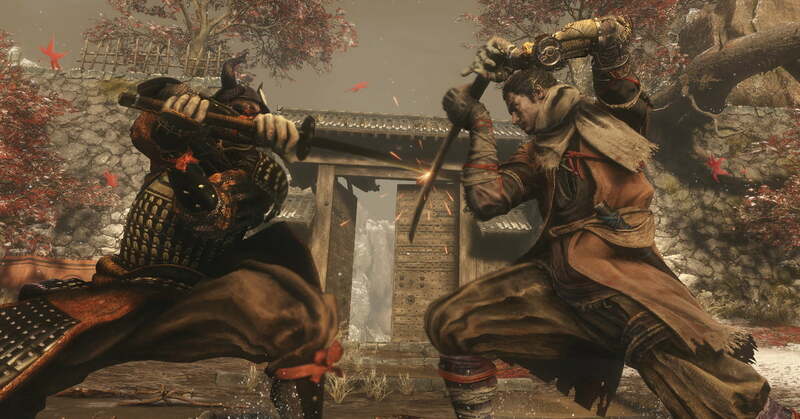 Rather than destroying the health of an opponent and avoiding the attacks beforehand Repeat the Action Sekiro: Shadows The Twice requires you to focus on "stance". Both the wolf of the player character and almost every opponent you face have a certain amount of attitude that needs to be broken before you seriously act on damage. Only by mastering the posture can you succeed. Do damage: When you do standard damage to an opponent's health bar or Vitality, their damage The position counter begins to fill up. It will break when it is completely filled and leaves it open for a Shinobi killing blow. The posture is recharged after a few seconds when it was not hit. The speed with which this happens, however, depends directly on their overall health. In other words, an enemy with low health will be much easier to break than an opponent with full health. If an enemy is about to break his posture, and he is still on guard, you can simply go with the weapon against the crossbar. Block Attacks: The attitude of the characters is also affected when they have hit their attacks. Holding down the lock key (L1 on the PlayStation and LB on the Xbox) prevents non-elemental attacks from causing direct damage, and the opponent's position bar fills. You will also be wary of this strategy! Distracting Attacks: Instead of holding down the Block button, you can tap on it before an attack attacks you to distract it from enemies. In some cases this is necessary for a fight, and if an enemy is already weak, the attitude he loses by distracting the attacks may actually be enough to make him susceptible to a Shinobi deathblow.